I so enjoyed hearing what you liked about the bedrooms in the previous post! It was so interesting to hear what you liked about the bedrooms in the previous post! This got me looking to see if I had anything left from my fabric stash that I had not given away. 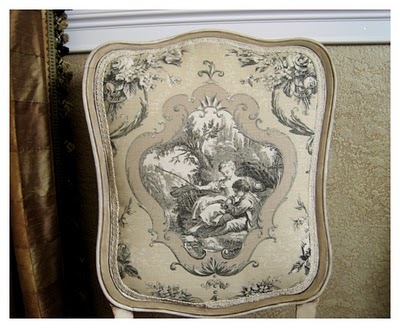 I still have the fabric from the chair I had redone for this room several years ago. This is exactly what happen happen to our twins, the Chair Girls. It also could have been titled the "Ugly Duckling" but neither of them wish to be compared to a duck and didn't understand that the ugly duckling turned into a swan. Oh well. Wandering into this thrift store is not one of my favorite things. And even though I've complained about such trips, I have to admit I have saved a few forlorn little gems from this place. So through the crowds of women checking out the clothing I go, all the way to the back. I really wanted just a cheap chair. And what do I see, oh a set of uglies! They were French inspired, but they were "inexpensive" to began with and had truly seen better days. In the photo , you can see there was work to be done even before I would let this one out of the garage. I only needed one is what I thought at the time. I kindly paid them the price of $20 that they had marked for all 3 chairs, and told them to just keep the other two and took the best one and put it in the car. Then I thought better of my decision and decided maybe down the road I could fix the second one as well. The third, sorry there was no hope for it. The first one was painted creamy white with accents of the taupe color that I used in the master bedroom. It was also aged and antiqued with a glaze of raw umber. There was a lot of work with a small artist's brush. It makes a huge difference in your finished piece if you can do this when there is some carving to play with. The second chair was done in black. I had a lot of black in the house at that time. These were my two different loves, light furniture and black. Both were recovered in medallion toile fabrics and with different kinds of trim. 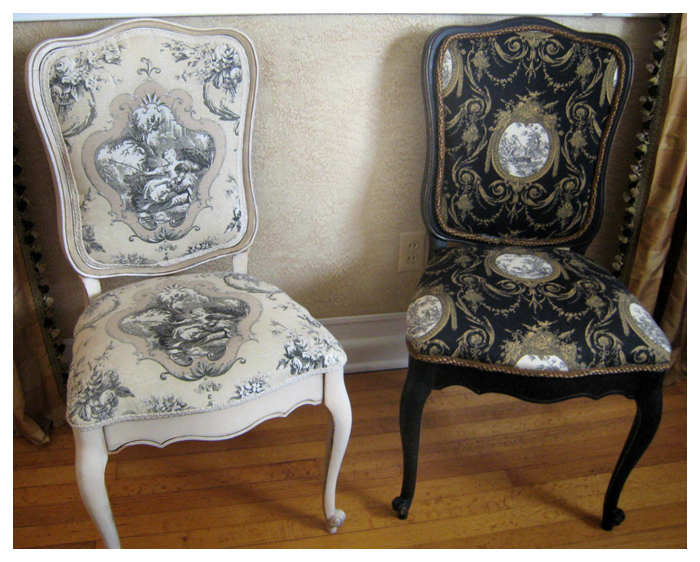 When I last wrote about these, I had intended to redo the lighter chair and keep the black on as it was. My decorating has changed quite a bit since then. I have very little black pieces and have plans to paint most of them. So the fun thing is that now I'm in love with the colors of this chair all over again! Hey we can change our minds, can't we? It sure feels better when it's just a thrift shop chair to change out though. ~Wishing you all a Happy Weekend! Donna I personaly adore the lighter chair, and yes I am changing and moving things around all or the time! What did you end up doing with your color scheme for the backyard,,,,?? Have a wonderful 4th !!! Donna, You made me laugh. Both chairs are very pretty. What brand of glaze do you use? I've used a few but none that I'm overly ecstatic about. Spray is my new BFF too. Love both chairs, Donna! I like the light and the dark at the same time as well, so I could see how you did one of each with these. 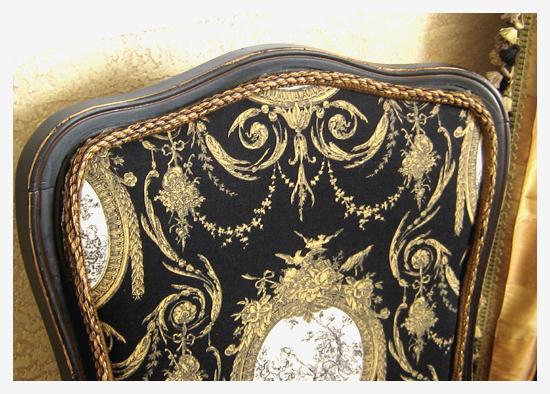 The fabrics you chose are great, especially with putting some fabric on the chair back. These turned out so great and I'd probably fall in love with them again myself. I love them both. I can never decide whether to use dark or light furniture as I love both too. I've always loved those chairs! That fabric is so gorgeous! Just stopped by to say Happy 4th! Such a creative gal. Great fabric you choose too!!!! Wow, What you do with those chairs is absolutely amazing. I can't believe how elegant the chairs looked after you finished with them. They look professionally done. Kudos! What a lovely transformation you made with those chairs! 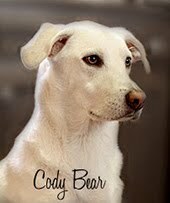 I love your blog and I am your newest follower! I love both of these chairs - just beautiful! May I ask where you found those great fabrics. Thanks so much!